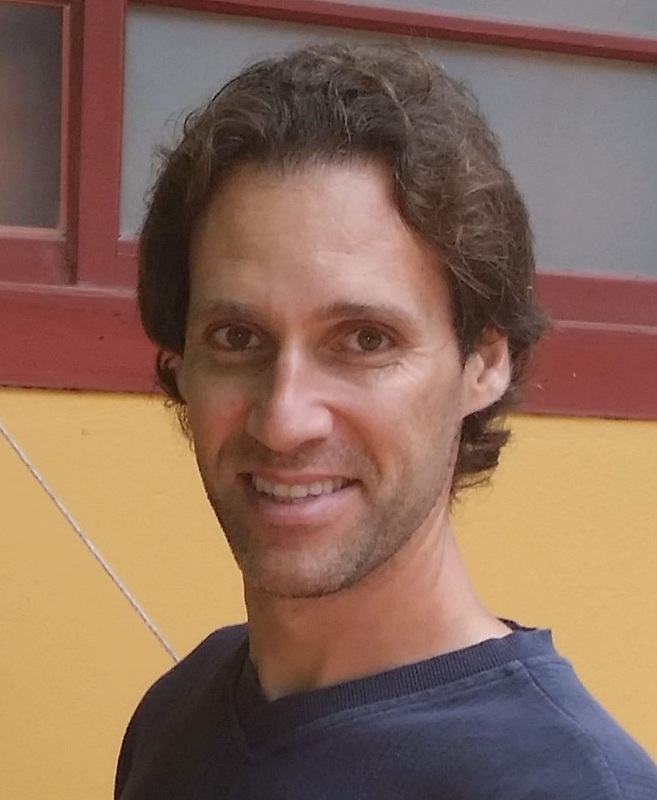 Pau Fonseca i Casas holds a doctoral degree in Statistics and Operations Research from the Universitat Politècnica de Catalunya · Barcelona Tech, and is part of the Information Modelling and Processing (MPI) research group, which is attached to InLab FIB, a CIT UPC Member Center. 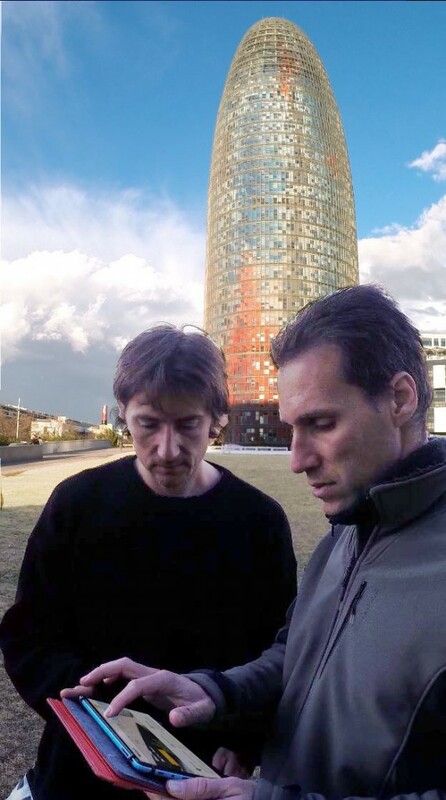 On this basis of his doctoral thesis on models that simulate the graphic representation of knowledge, and with the help of his brother Antoni, an architect, Fonseca has created software that can evaluate the energy consumption of buildings and improve construction and maintenance processes, in accordance with European regulations. NECADA, which is the commercial name of the software, is already being used by companies in the sector. This is the culmination of a research and knowledge transfer process that has taken seven years. The initial software emerged from the convergence of my doctoral thesis and that of my brother. This software enables simulations using complete, unambiguous representations of construction models. 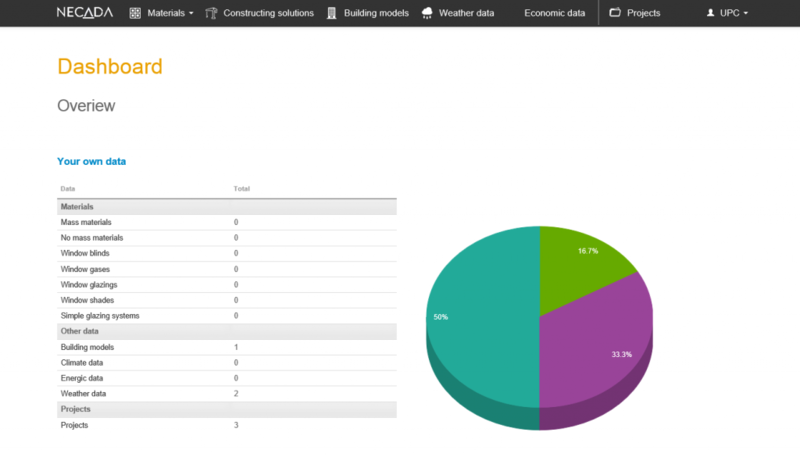 We then introduced optimization algorithms into this software, to analyse the processes of constructing buildings, taking into account the EU directive on sustainability, CEN TC 350. Subsequent development led to NECADA. Pau Fonseca (derecha) y Antoni Fonseca. Depending on the form and design of the building, which is modelled in three dimensions, the system proposes construction systems depending on the materials that can be used. The building’s orientation and the climate in the location are also taken into account. The software includes key aspects such as the price of the materials, their transport, assembly and disassembly, so that the construction company can calculate the full cost of the building. What new features does this software offer? There are software solutions on the market that can calculate energy consumption. However, they don’t take into account aspects of construction and design, which are essential to obtain an accurate estimate, or all of the environmental and social impacts, which are vital to a sustainable system. 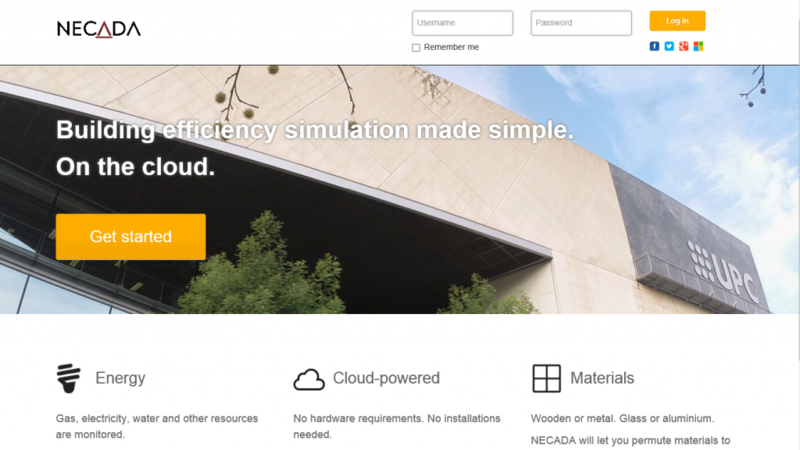 NECADA includes a database of materials and so can be used to optimize the construction and design of buildings, in line with European regulations. Previously, we used clusters of computers for the calculations; now we are uploading the software to the cloud to facilitate remote management. How many people have worked on the project? The programme is divided into two parts. Three of us have worked on the simulation engine since 2008. A further six people are involved in NECADA. Antoni and I are co-directors. How was the research project funded? Through our participation in competitive projects with companies; we use the product in the companies, whilst we work to extend it to meet the companies’ needs. What was the most difficult aspect of the entire process? Combining the development of the tool with teaching work and the deadlines for the projects in which we participate, without neglecting the need to publish… A difficult balance to obtain that was not without its sacrifices. Are you worried that during the process of software development and uploading it to the cloud other similar or more complete software could emerge that reduces interest in your programme? I’m sure we will have competition in the future, but our main interest is to create a good product that meets current market needs, and to innovate constantly to stay in the lead. As a university our duty is to be there, so concern about competition is relative. Are construction companies more aware of sustainable development? Have you noticed a change over the years? Absolutely. The change is due not just to recession in the construction sector, but also to market trends and the exhaustion of non-renewable energy sources. I would not say that construction companies are more sensitive to sustainable development. However, I would say that society is beginning to understand that there is no development unless it is sustainable development. Should multidisciplinary research be promoted more strongly? Research has always been multidisciplinary. The separation between existing scientific disciplines comes from our obvious lack of ability to understand reality holistically. However, computers are changing this and barriers are beginning to disappear, but there is still a lot of work to do. Given our limitations, it is clear that we must specialize, but we need mechanisms for communication between specialists to be able to share and use the knowledge in each area. The challenges that we face are global and multi-disciplinary, and therefore need global and multi- or cross-disciplinary approaches. It’s difficult (but essential) to promote multi-disciplinary research. We need to take university degrees as a starting point, and give students something as simple, but at the same time as complex, as communication tools (methodology, languages, etc.) that enable them to understand each other and share their knowledge in a common model. Is multi-disciplinarity an asset in knowledge transfer processes? The sum of different disciplines is key to knowledge transfer. It is fundamental. We are referring not only to the need to incorporate staff from different educational backgrounds into a team to resolve increasingly complex problems (here complexity refers not to the fact that the problem is difficult, but that it has many, varied facets), but also to trans-discipinarity. In our research group, this has always been a key term. In fact, a year ago we published a book on this topic with a clear title (Formal Languages for Computer Simulation: Trans-disciplinary Models and Applications). Trans-disciplinarity is a concept covering work carried out in multi-disciplinary groups in which the various actors do not just seek answers drawn from their areas of experience, but also learn from other areas and provide answers from different perspectives. In many cases, this may help to progress with problems that we could not resolve in the past. We already know that the way we approach and define problems is fundamental to their resolution. Do you think that specialists from different disciplines must work together to be able to respond to more complex external demands? Absolutely. The problems we are going to resolve in the coming years are not small: IoT, BI, analytics, AI, etc., will have an increasing impact on society, and involve a change in social model the like of which has not been seen for a long time. In this context, we need people with technical backgrounds in our research teams, and it is absolutely essential to collaborate with other disciplines that have traditionally been known as â€œsoftâ€ sciences, but that are gradually incorporating concepts such as simulation, optimization and modelling, and becoming much harder sciences than they are at present. There are various reasons for this transformation, but, it can be seen, for example, in the paradigm shift in sociology in recent years. For this change to take place, we must work in a trans-disciplinary way. The barriers between the disciplines that we need to understand reality are diminishing with the new technologies (clearly, they don’t disappear completely), and specialists draw from different sources of knowledge to answer bigger problems. What are your next research goals? NECADA is the tip of an iceberg in terms of what can be done with our proposed methodology. Firstly, we are interested in expanding the model semantically and incorporating other elements that will enable us to take into account new processes, with the aim of attaining a nearly zero energy building (nZEB) and more suitable general management models. Secondly, from a perspective that is more focused on simulation as a discipline, we do not want to be limited to executing models in platforms that are already defined. Our idea is to expand the framework of execution to other platforms of great interest, such as supercomputing or PeerToPeer execution, with the intrinsic problems of these scenarios in the area of simulation. For further information on the NECADA project, see the link to the press release. This entry was posted in Sin categoría and tagged Energy Optimization, inLab FIB UPC, Necada, Sustainable Architecture on 27 April, 2015 by www-citupc.